Tropical Cyclone Hola will bring heavy rain and strong winds to parts of New Caledonia from Friday into Saturday before heading towards New Zealand. 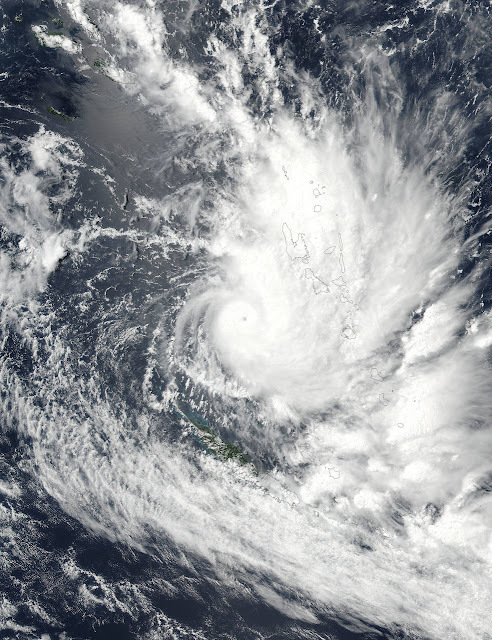 Hola is currently a Category 4 tropical cyclone on the Fiji intensity scale, comparable to a Category 2 hurricane in the Atlantic or eastern Pacific basin. Downpours have totalled 50-100 mm (2-4 inches) of rainfall across northern Vanuatu with local amounts up to 200 mm (8 inches). 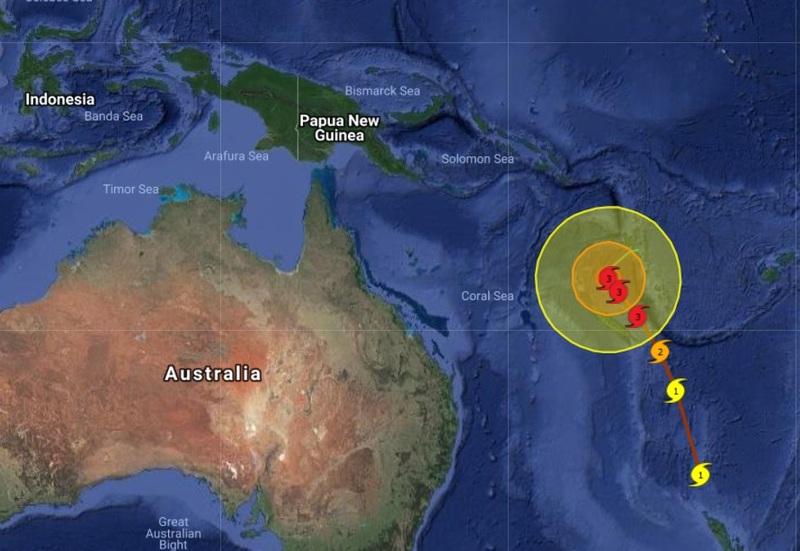 While the worst of the storm is over, additional downpours are expected across central and northern Vanuatu through Friday according to AccuWeather.com. The cyclone was expected to veer southeast towards New Caledonia’s Loyalty Islands on Friday, bringing severe wind, rain and waves, New Zealand’s National Institute of Water and Atmospheric Research (NIWA) said. The Red Cross in Vanuatu told Radio New Zealand that the storm had blown over houses on Malekula and Ambrym Islands, forcing many residents into evacuation centres on Wednesday and Thursday. It had also damaged the cellphone network in parts of the country, the Red Cross and UNICEF said. The storm will then head off on course for New Zealand's North Island later in the weekend.